Several factors affecting both genders contribute to hair loss: scalp bacteria, stress, poor nutrition, hormonal imbalances, and genetic baldness are at the top of the list. In many cases, hair loss may be caused by a combination of these factors but genetic pattern baldness is by far the most dominant factor, accounting for nearly 95% of all hair loss in men while affecting millions of women as well. Though male pattern baldness is treatable it cannot be cured as it is genetically predetermined. Hamilton and later Norwood have devised a classification system, classifying the progression of male pattern baldness. The first visible change is a recession in the temporal areas and/or frontal hairline. With age hair density diminishes. There is no way of predicting the end result of hair loss in a young man with early male pattern baldness. For that matter, 96% of mature Caucasian males who happen to experience a receding hairline are not necessarily destined to further lose their hair. In general though, if a man has blood related relatives who have lost hair in a recognizable male pattern, he himself can expect to lose his hair in a similar fashion. 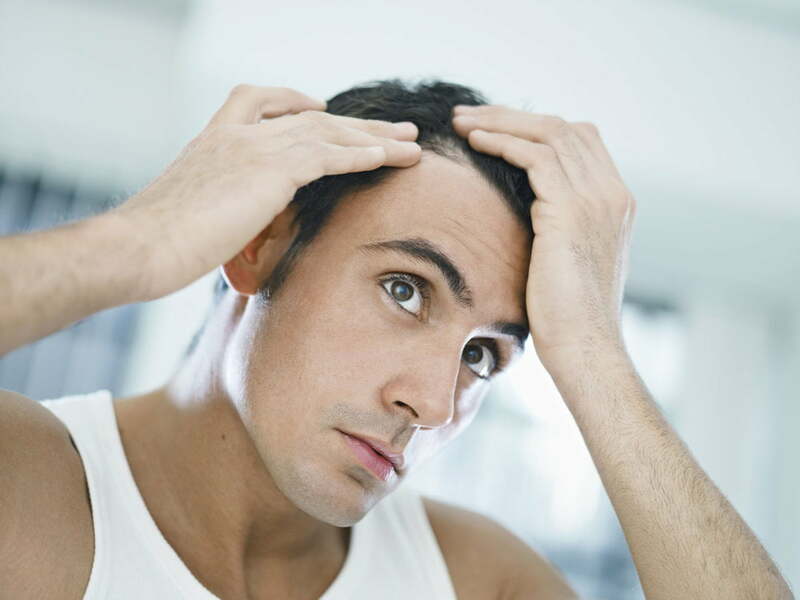 Hair loss in men is likely to occur at any point between late teenage years and age 40-50. In general, those who begin losing hair in the second decade are more likely to experience severe hair loss. In some men, initial male-pattern hair loss may be delayed until the late third to fourth decade. It is generally recognized that men in their 20’s have a 20% incidence of male pattern baldness, in their 30’s a 30% incidence of male pattern baldness, in their 40’s a 40% incidence of male pattern baldness, etc.